CORRECT!! I had theorized that Arya would be the one to kill Littlefinger and that theory was proven true Sunday. He was on her list and let’s face it, he totally deserved it. I’m just so glad that he didn’t come between Sansa and Arya enough that one of them got hurt or killed first. WRONG Thank goodness this one was wrong. 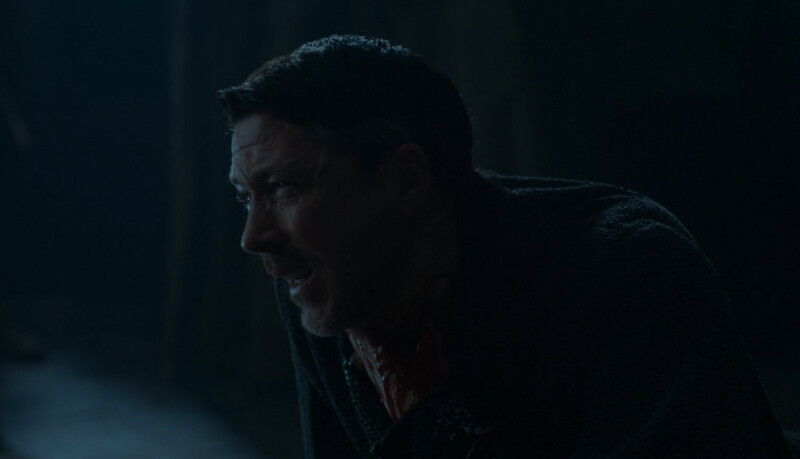 I was starting to sweat that it was going to end up being right after seeing how Littlefinger had been manipulating them both into hating each other. I love that we weren’t shown how the girls had been going behind his back so it was more of a shock when Sansa sentenced him to death and Arya carried it out. CORRECT Kind of. They finally hooked up like everyone was hoping. However, she’s not his half-sibling, but she’s his aunt. Unsure how I feel about that, but this theory was correct – that these two hooked up finally. CORRECT Unfortunately, I felt that everyone could see this one coming and it finally happened. Jaime didn’t betray Cersei in the way that she was thinking until she falsely accused him of it and he finally decided to just be what she thought he was. I did say that she would eventually just break his heart with her controlling behavior and her thirst for revenge and just the pure evil that she has become. He finally had enough and just left. CORRECT Thank goodness again on this one. I was waiting for Theon to finally grow some nuts back and he finally did Sunday. The little smirk that he gave when the captain was trying to knee him in the nuts was just awesome. I think that he needed that bit of a win to boost him back up a bit and I’m glad to see that he’s hell bent on rescuing Yara. 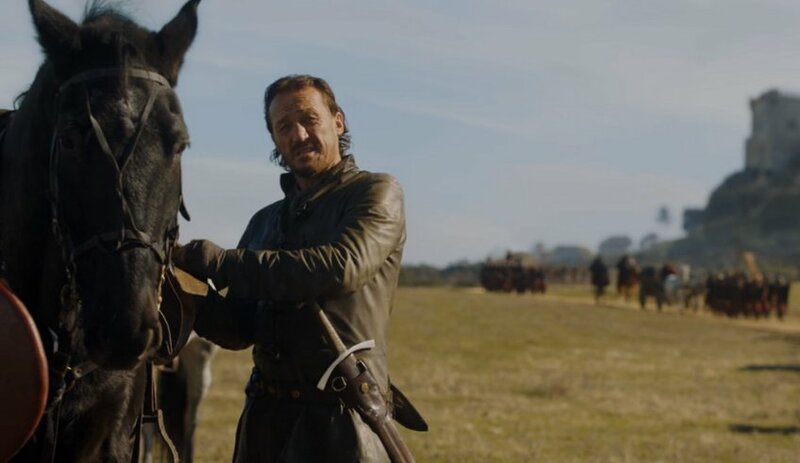 We all know that Bronn has always been loyal to Jaime, not Cersei. Since Jaime is now apparently done with the whole crazy sister thing, I’m betting that Bronn will be too. 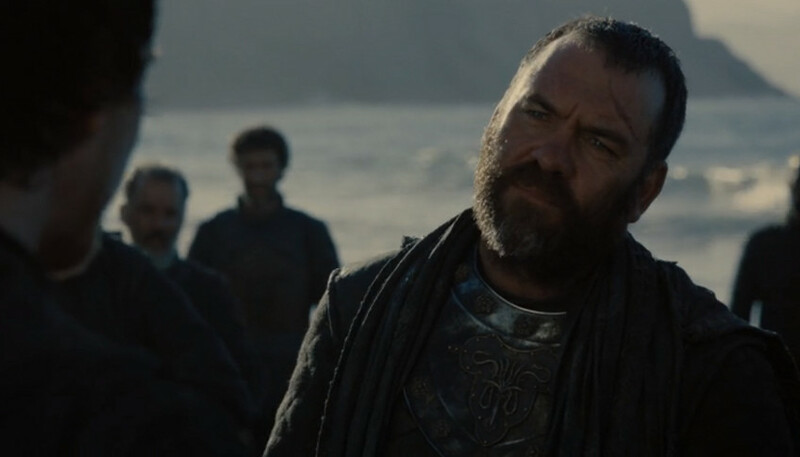 I’m hoping that he hasn’t had too big of a taste of the “lord” lifestyle and keeps his friendship with Jaime above what he has under Cersei. 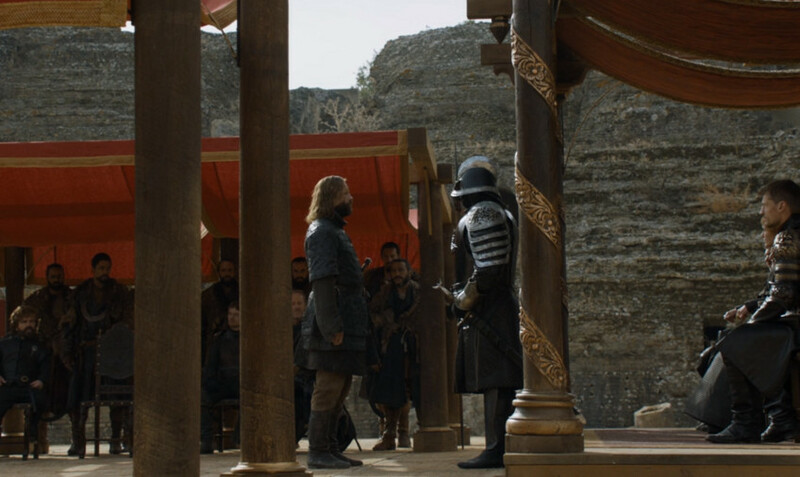 Seeing the Unsullied and Dothraki surround the keep this past Sunday, coupled with the dragon attack earlier this season, I already think that Bronn is on the fence about being in this whole war. Now that Cersei threatened to kill him for something he hadn’t even done, and Jaime has left the building, I really believe that he will actually switch sides. Seeing the walker in person coming at his sister and him in the arena made a huge impression on him and he sees that there’s a bigger picture now. He also knows Cersei’s plans with her newly bought army and how she thinks better than anyone else. I think that he’s going to go find Tyrion and help them with the war against the Night King while giving Daenerys information about what Cersei is planning. I know there was a leak that said that she was going to have a miscarriage in this season finale, however, I think that they are going to end up letting her give birth and then having the baby taken off to be raised somewhere safe. Similar to our beloved Jon Snow. Maybe Tyrion will end up raising the kiddo somewhere else. We’ve already seen how Qyburn loves to experiment with dead things – just look at the poor Mountain at this point. From the little we can see, he already looks like a zombie. 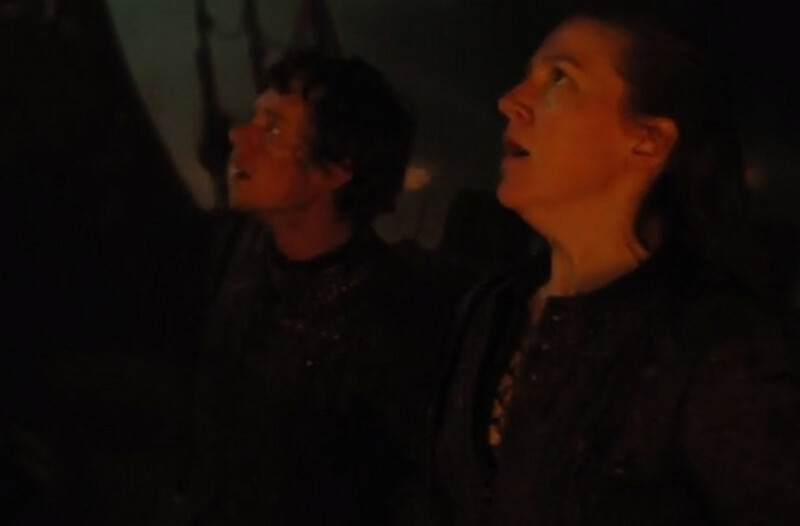 Plus, Qyburn was really infatuated with the walker and didn’t seem too scared of it since he was the only one who went down toward it and actually picked a piece of it up to examine it. I think that he’s going to try to find a way to utilize some of the walker’s power in his weirdo experiments – possibly make a deal with the Night King or something to keep himself alive. Either way, this is something that is going to be a bigger deal in season 8. I believe that Theon will go and rescue Yara. However, I’m not sure how it’s going to turn out in the end for him. I think that Theon is going to die saving her and finally be a hero. Of course, I also think he will be the one to kill Euron as well. They’re making too big of a deal out of her saying that she can’t have kids. 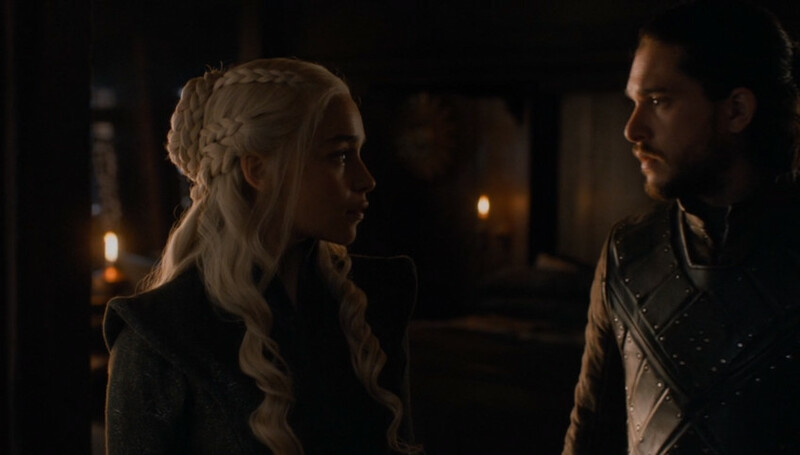 And they made sure that Jon brought up the possibility that the old Dothraki witch was lying to her. Then top all that off with the fact that they’ve gotten the hook up going between the two remaining Targaryens. Come on. I can see it coming. I’m not sure if they’ll Jon Snow the kid too, but I can see her having a kiddo in season 8. I believe that she did buy some fierce army with elephants that Euron is heading off to pick up. I also know that she’s intent on stabbing Daenerys in the back. However, I’m curious about how this is going to pay off for her. I think that without Jaime, the other commanders are going to lose a ton of moral and that some will not fight for her, even when ordered to. I’m thinking there’s going to be a mutiny of sorts inside the regular Lannister army and it will mean fighting between them and the bought army. I’m betting we see more of Bran’s weird powers in season 8 – and I’m actually surprised that we haven’t seen more in season 7. We already know that Bran is the one who caused Hodor to lose his speech and turn his name and all he could say to ‘hodor’. So, what’s to say that Bran hasn’t (or won’t) cause others to go crazy too? With a spin off in the making that is the ‘recognizable past’, I can’t help but think that it has something to do with the Mad King and that Bran is the one that makes him go mad. All of the Targaryens are obsessed with prophecies and the Mad King was no exception. With Jon finding out who he really is and the obscure pictures on the cave walls in Dragonstone about the Night King, the children of the forest and so on, I can’t help but think that we’ll see Bran going back to visit a lot of people in the past and possibly driving them crazy. Ok, this has to come to an end at some point and seeing how the Hound actually had some pity for what they had done to his brother touched me a bit in the ‘ole heart. These two have always hated each other, but I think at some point this has to stop. I’m betting that the Hound ends up killing the Mountain in season 8. Now that the wall is down and the undead is flowing through it, you know that it’s going to get really bad. I fully expect that we’ll see a ton of people getting added to the undead army and even more people and places being burnt with smoldering blue flames. The Night King isn’t going to let anyone escape alive, meaning join or die… ‘er, and die? I’m not sure how that would work with him really. Because even if you do die, you’re still joining him. Anyway, I think that a lot of the north is going to fall before anything gets figured out. I’m not quite sure who it’s going to be, but I’m pretty sure that one of the Stark girls will die. When the Night King makes it to Winterfell, it’s going to be horrible and there’s going to be a lot of death. Either Arya will die trying to protect Sansa or one will watch the other go down in a mass of undead bodies – but either way, one of them (possibly both) won’t make it through the end of season 8. When that happens, it is going to break Jon’s heart. For that reason alone, I think it may be Arya who ends up dying. She’s already made the prediction that she’ll come back to the seven kingdoms just to die and I’m betting that it will be in a fight with the undead. 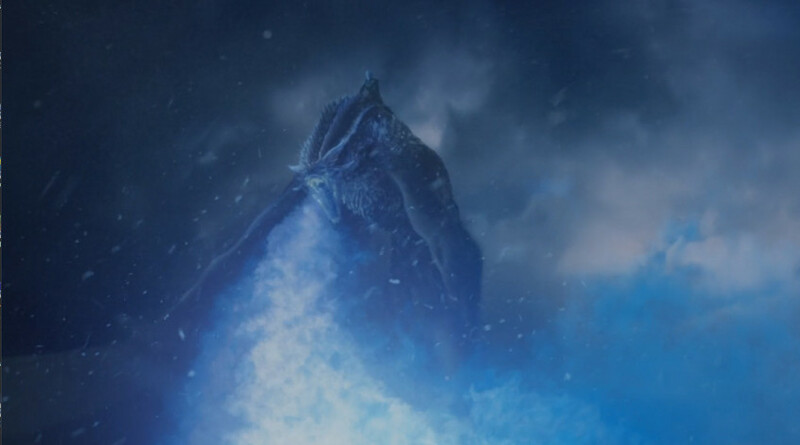 Beric and his brotherhood knights have already lost several of their group and Beric is sure that the Lord of Light has a plan for him and Jon against the Night King. 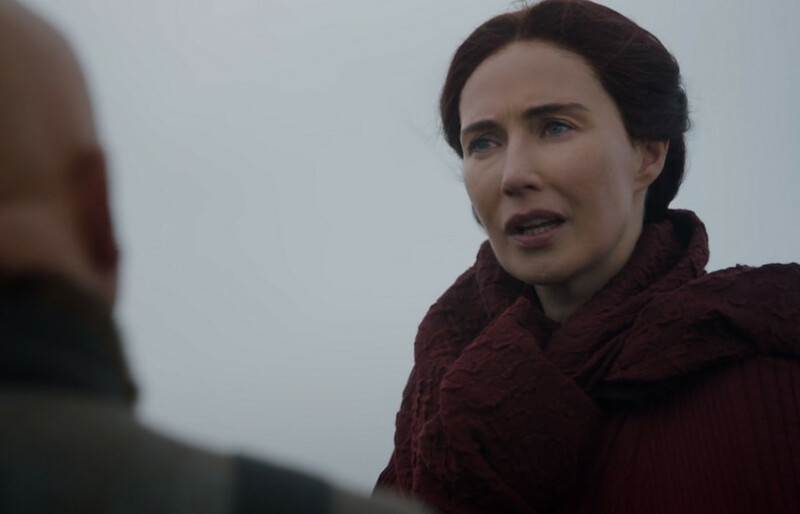 Since Melisandre is a red priestess, I’m putting my money on the fact that she’ll get drawn into the conflict somehow and give her life to save someone else, possibly Beric. Varys is already by Daenerys’ side and Melisandre has already told him that he’s going to die in the seven kingdoms as well. With the massive battles sure to come, I think our poor spider will end up dying a death that just doesn’t matter. I would like to hope that he’ll die heroically, trying to save Daenerys or the like, but this is Game of Thrones and we know that’s not how it goes. I think that poor Varys is going to die horribly and it won’t mean a single thing. Trying not to melt away in the heat of Oklahoma, MD Weems has been a writer and artist for over 20 years. Her written works over all types of gaming have been used in college level game design textbooks as well as in US Patents over virtual character design. She has worked with gaming companies all over the world and is even cool enough to have her own Korean cartoon character.